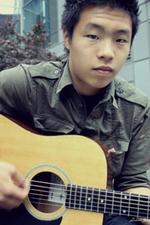 Sign up for Broadjam today to follow Brian Hong, and be notified when they upload new stuff or update their news! Brian is a young Korean-American artist from Queens. He is still in the infancy of his career but has a growing fan base from NYC and all around the country. He was a big hit at the Chuseok festival last September and has since been working on his debut album. He has released an EP, called the Bootleg, which has been downloaded over 5,000 times.